The cases of suicide is increasing at alarming level. At times, I cannot come to terms to accept as how educated people are taking such drastic steps to put an end to their life. Why don’t they think of another alternative? Today again a bureaucrat ended his life that too in a planned way. Many queries throng my mind. Life is precious and the life of a person is the sacrifice of two living souls who sacrifice all his energy to raise the child and nurtures great expectation to see them happy and prospering and the child never thinks twice before ending their life. He becomes eccentric & self-centered and only thinks of himself, forgetting all those who are associated with them in some way or the other. This is not the first bureaucrat who has taken such drastic step; the numbers are alarming. I want to discuss my views on it and I wish that my readers should try to understand what I mean to say and convey the same in their circles & surrounding so that the cases of suicides and suicidal attempts decline. To become a bureaucrat is not easy, it’s a tough nut to crack and the person who nurtures the dream of winning the place in bureaucracy puts all his longings and desire on cupboards to satiate his desire to win the chair of bureaucracy. In that race some win, others lose. They take so much pain to fulfil their desire and finally seeks solace when he is selected. At times, my mind screams when they take such drastic step of ending their precious lives. Before thinking to end one’s life, one should rethink umpteen times weighing all the pros and cons. Discuss problems with your friends, accomplice, parents or whom you confide in, it will ease mental pressure and will give time to rethink. He should first question himself. Who am I to put an end to this life? Life is not easy, it is not a bed of roses. It has thorns strewn all over and as roses make their place among thorns to survive, same way, we humans too need to carve a place amongst odd circumstances. One should always be prepared for the struggles, it can arrive any time. Be prepared for it. Just like the night comes after the day, likewise tough days come along with happy days. In the moments of joy, we never count the days then why to count the days of sorrow. People get petrified at the slightest pretext in adversities but never complain if they are overloaded with happiness. Oh, I entered into the realm of philosophy; just to interpret why to fret in difficult times. Take it easy and accept the downfalls as a storm which is temporal in life. Don’t be over caring & over protective towards your kids. Let them explore around and face the challenges. Be there to guide them but let them fall. Then only the child can learn to rise after every fall. Failures are the pillars of success, so let them taste failure. Don’t take all the pain on your shoulders, share them with your kids. Make them strong and independent. Don’t succumb to each demands. Be firm. Introduce them to the reality of life. They should know that life is not a fairy tale. Teach them to share & care. Don’t panic when they overreact. Gradually, they will learn to come to terms. I know it’s tough for the parents to watch the child in pain but remember throughout life, you cannot stand by him. He has to stand for himself, so let them taste the fruits of success & failures, happiness & pain, joy & sorrow. These days the parents cajole their kids too much overlooking their faults and the consequence is child is unable to discriminate between right and wrong. Three four decades before, there was strict guardianship and the child had fears and many times, he tackled the situation by himself and learnt by trial & error but never gave up. He learnt to comply with the situations. Today, the situation is just reverse. If once the child says that he is unable to complete the task, both the parents surround him and asks umpteen times what the problem is and hill is made out of the mole. The child is innocent and even at the slightest pretext, he gives up because he knows, his parents are there to help him out. Helping is not bad but if you see the things minutely, you will find that he is taking advantages of your love and and gives up easily. Why the parents of today are so lenient? According to me, they haven’t forgotten the fears that they had in their minds for their parents & guardian and in some way, they don’t wish to repeat the history. In this process, they are not realizing that they are overprotecting their kids and this over care is making their kids weak. Gauge in the past, how many suicides happened in those times? Very less compared to today’s statistics. People of yesteryears had a tough life and they did not gave up easily. They knew to handle adversities and with each stroke of odds, they emerged stronger. Parents…let your child struggle. Don’t be ready with readymade solutions, let them learn and fight for themselves. If you cannot bear, change the situations instead of ending life. Life is not easy, it is laden with struggle. Remember, a beautiful butterfly has to struggle a lot in the journey from caterpillar to butterfly. Same ways, to achieve something commendable, one has to take lot of pains. Confide in someone whom you trust. Try to adjust in situations. Life is an adjustment. You have got one life, enjoy to the fullest. Focus on the positive aspects of life. Develop hobbies to engage yourself & combat Stress. 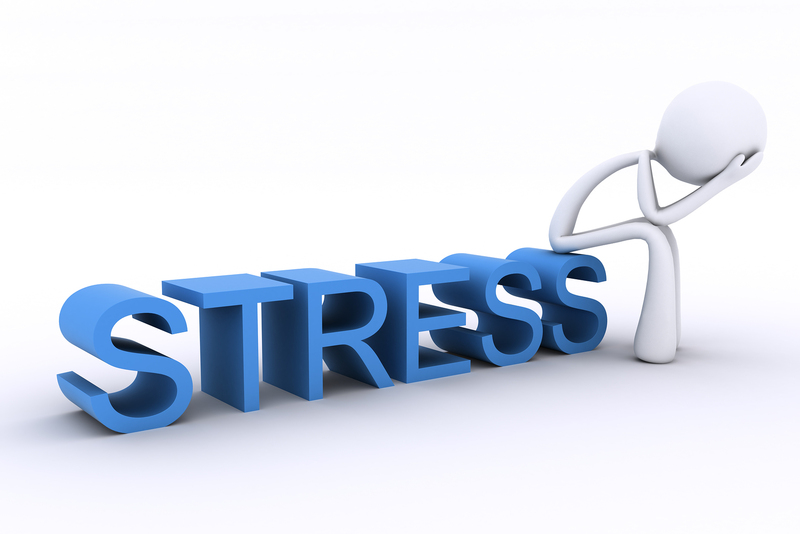 Start stress management sessions at schools, colleges and Corporates. There should be interactive sessions wherein people can discuss their problems in general & can find solutions to it. Once again, the parents and teachers need to adopt strict rules to handle children so that they can cope up with pressures. Guys, don’t give up easily. Discuss for solutions. Open up. Don’t bottle up your feelings to explode. This view is solely mine and it’s my perception. If you find me wrong anywhere, do correct me. I will be happy to get corrected. If you wish to share, copy n paste this link. I was just thinking about this today and I came across your post. In this virtually connected world we are losing human connect. It is essential to know that it's Okay to fail and its important to talk about your worries. I agree..these days there are so many things which make people take this extreme step. There should be proper counselling for it. We bloggers need to take a way out by carrying exhaustive session on self improvement to help the people who are reeling in stress. Thanks for sharing this informative post.. important for today's gen parents ..